Intertek's tailored solutions enable retailers, brands and manufacturers of textile products, apparel and home textiles to ensure the safety, quality and performance of their products with precision, resulting in increased speed to market. Intertek performs textile testing on items ranging from fabric samples to finished products, including activewear, apparel for children and adults (pajamas, sweaters, jeans, outerwear), fashion accessories (scarves, belts) and soft home furnishings (bedding, curtains, upholstery). We help our customers go beyond regulatory requirements to consistently meet consumer demand for high quality, minimize reputational risk, reduce environmental impacts and protect the interests of retailers, brands, textile manufacturers and consumer safety. We offer textile and apparel inspection services per Acceptance Quality Limit (AQL), pre-, during and post-production to assure product quality by identifying defects and deviations, checking workmanship, verifying safety properties and loading paperwork. In addition, Intertek’s textile certification services help retailers demonstrate due diligence through supplier certification. Intertek also supports textile and apparel customers through our textile auditing services to assess manufacturing facilities. Textile and apparel auditing is an integral step to verify manufacturers’ portfolio and capabilities, compliance to standards and regulations. 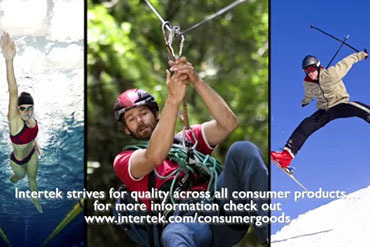 Intertek’s textile and apparel industry services helps retailers, brands and manufacturers uphold quality and safety while ensuring consumer confidence and brand loyalty. In addition to testing for Textiles & Apparel, Intertek helps clients build, maintain, and protect their brands through supply chain assurance and advisory services that go above and beyond regulatory compliance.